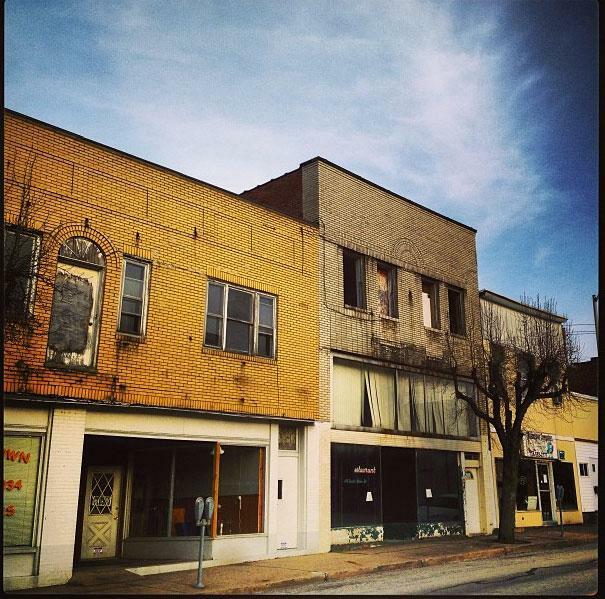 City Councilman hosts FREE Façade Improvement Workshop. 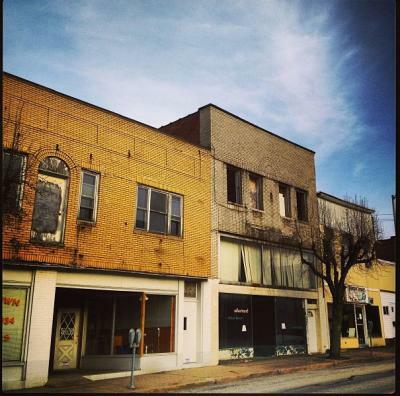 "We're all sick of abandoned storefronts and empty parking lots. And we all share a stake in the future of our city." That's the reason Dan Schank gave for why Vice President of the Brookings Institution Bruce Katz was worth seeing Thursday, Nov. 6 at the Global Summit VI. And judging by the fact that the Jefferson Educational Society had to open seating into the overflow room, a lot of people are sick of vacant storefronts and parking lots filled not with cars but tumbleweeds. And they do believe they have a stake in the future of our city. Katz, whose book Metropolitan Revolution you should read immediately, is a big champion, as Dan notes, of what he calls "metropolitan prosperity." In short, the opposite of dilapidated buildings and crumbling urban economies. If you missed Katz's presentation, Jim Wertz offers a good wrap-up of week-one of the Summit, but also provided a good lead in to understanding why Katz is one of the most important names you need to know right now. But whether you were able to attend that presentation, there's this: A façade improvement workshop. Erie City Councilman Dave Brennan -- who, when not counciling, works as an architect and is a known enthusiast for all-things built environment -- is offering a FREE (read: Erie's favorite 'f' word) workshop "designed to assist property owners and tenants with making façade design, restoration, repair, historic tax credits, and funding," according to a press release. This matters to all of us, because while we may bemoan the unfilled or underfilled storefronts around our area, we should focus, too, our energy on those storefronts that -- with a little love, care, and investment -- could be brighter, bolder, and more emblematic of the notion that Yes, Erie IS open for business. After all, a first impression is often a lasting impression. The release further explains that: "The physical quality of our main streets is very important to our entire community because it reflects our history, image, and affects our economy. Restoration, repair, and new development should occur in a manner which is consistent with the neighborhood and the architectural context of the area. One of the goals of the workshop is to help strengthen businesses in our community in order to help to improve our local economy." Which might sound simple, but that last line matters a whole hell of a lot. Think about it: You're far less inclined to walk into a store if the display in the front window is filled with outdated materials or stained or broken goods, right? The same, it seems, would go for businesses looking to attract potential customers, as well as new businesses looking for a place to set up shop. And if there's an opportunity to learn -- from an expert, nonetheless -- about design improvement and ways to get capital to beautify our city, that's a win for existing businesses, a win for potential businesses looking for good neighbors, and a win for citizens looking to support and buy local -- as well as a win for anyone with eyeballs who likes walking around looking at nice looking things. Which makes this a win-win-win-win for those of you keeping track at home. So if you're a property owner or tenant -- or someone who cares about our built environment -- then get thee to the UMPC Health Plan Community Room located in 109 Boston Store Place Thursday, Nov. 13. The event runs from 8 a.m. until noon, and registration begins at 7:30 a.m. Refreshments -- should you need refreshed beyond the idea of a more attractive Erie -- will also be available. Ben Speggen took that photo in Masontown, Pa. around 2012-2013, he thinks, which is a town nearby where he grew up. He spent a lot of time roaming those streets when they were filled with dinors, arcades, and more when he was much, much younger and simply in awe of neon-lighted anything, and is saddened by the sweeping death of Smalltown, USA. He hopes the same fate Masontown could not avoid will not befall the much larger and more robust Erie. He can be contacted at bSpeggen@ErieReader.com and you can follow him on Twitter @ERBenSpeggen.